GIANTS Netball have completed their team roster for 2019 after securing the signature of their 10th player – up-and-coming New South Wales defender Matilda McDonell. The addition of McDonell takes the total of New South Wales players on the team to eight, which showcases that GIANTS Netball truly is a team that represents the state. 18-year-old McDonell will be stepping out of the classroom and onto the court, as the young player will graduate from high school at the end of 2018 before making her Suncorp Super Netball debut in 2019. McDonell will bring with her plenty of determination, along with a quick and athletic style, making her an exciting addition to the GIANTS Netball squad. Another elite netballer who has come up through the Netball NSW pathways, McDonnell showed great potential in the 2018 Deakin University Australian Netball League, was a member of this year’s NSWIS Super Club team and for the last three years played in the Netball NSW Premier League, firstly for the Manly Warringah Sapphires and then for UTS Sparks in 2017 and 2018. She represented her state in the 2015 15/U All Schools team, 2015 15/U Australian School Girls team, 2016 NSW 17/U team and 2017 NSW 17/U team and made this year’s 19/U Australian squad. The defender feels honoured to have been selected to be a GIANT in 2019 and is excited about the opportunities ahead. “I couldn’t believe it when Julie (Fitzgerald) gave me the call. I was just stoked and honoured obviously to have such an incredible opportunity with Julie and the girls. “Honestly it’s such a dream come true. Particularly with being able to play with girls that you’ve looked up to obviously since you were young – the likes of Kim Green or Caitlin Bassett or all of the girls. “I think I’ve got a lot to learn and I’m really excited for that opportunity to grow and develop. “It just means so much for Julie to give me that chance. I think it’s just amazing,” McDonell says. 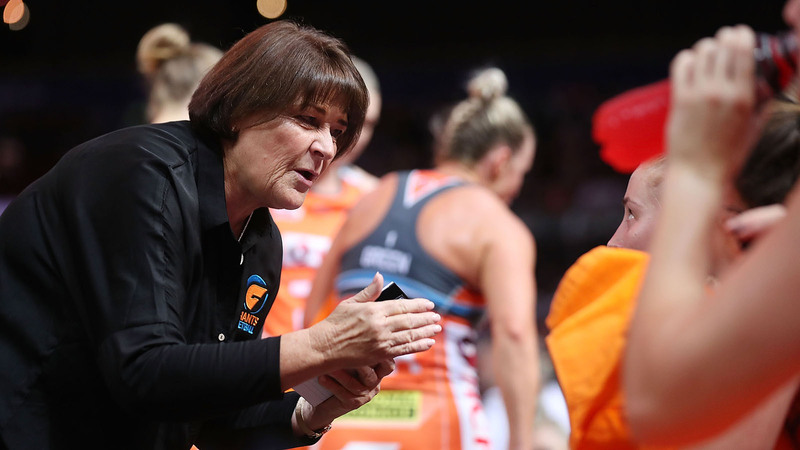 McDonell is a player that Head Coach Julie Fitzgerald believes will benefit greatly from her elevation to the elite Suncorp Super Netball League. “I am very excited to welcome Matilda to GIANTS Netball and have her represent New South Wales in orange next year. Matilda is a young player with enormous potential and she will have plenty of opportunities to learn and grow as a GIANT. “She has great speed, agility and strength and is exactly the type of defender that we want to develop at this Club. “Matilda is another young New South Wales player that is joining our Club and I am proud to be investing in the future of netball in this state and this country. “The 2019 GIANTS will be a core group of experienced players who have shown what they are made of in this league and an exciting mix of young talent who have a lot to prove and a lot of potential,” says Fitzgerald.